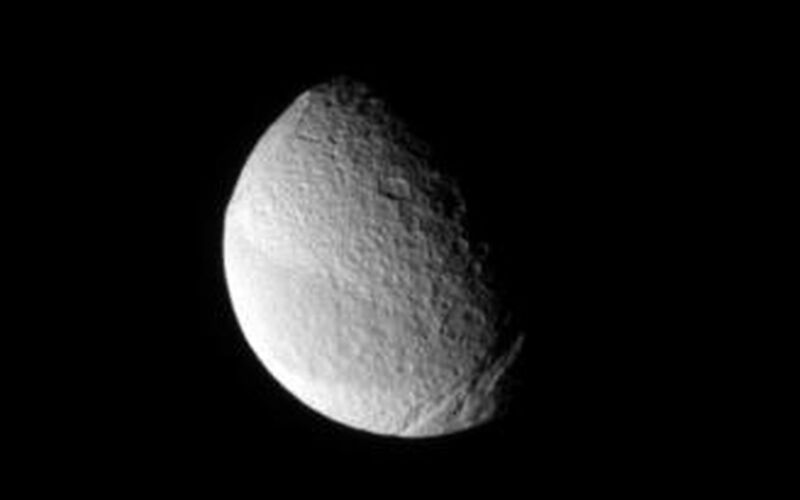 This view of Tethys displays three of the moon's most notable surface features. At upper left is the giant Odysseus impact basin. At lower right is the great scar of Ithaca Chasma. Extending from east to west across the moon is the great swath of terrain that appears slightly darker than the rest of the moon's surface. See PIA09766 for a different view of the dark belt. 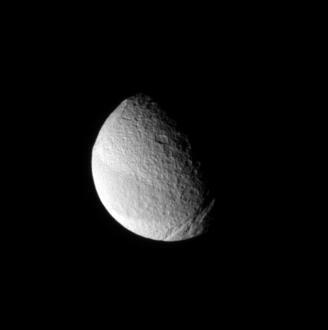 This view looks toward the Saturn-facing side of Tethys (1,071 kilometers, or 665 miles across) from 33 degrees above the equator. North is up. The image was taken in visible light with the Cassini spacecraft narrow-angle camera on Jan. 14, 2008. 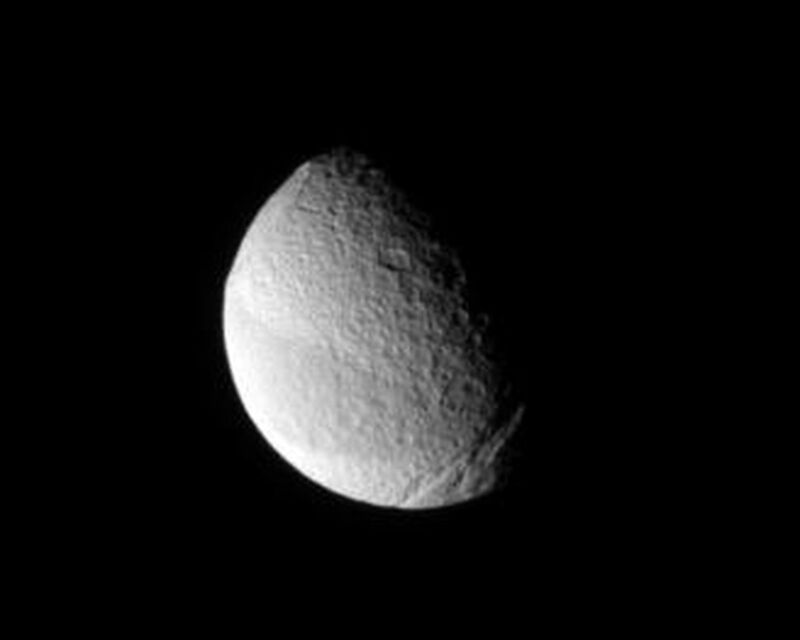 The view was obtained at a distance of approximately 1.2 million kilometers (715,000 miles) from Tethys and at a Sun-Tethys-spacecraft, or phase, angle of 70 degrees. Image scale is 7 kilometers (4 miles) per pixel.